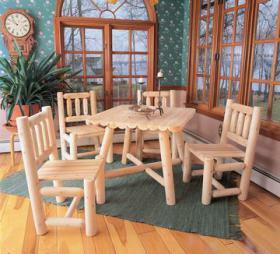 This 37” log-style square dining table seats four comfortably. Sanded to an ultra-smooth finish and virtually maintenance-free, the table and matching chairs may be purchased as sets or individually. Solid cedar construction ensures years of lasting beauty.